Other news of the day. Minor spine wear, otherwise good. wikipedia notes: Kelly headed the U.S. delegation at the Cannes Film Festival in April 1955. While there, she was invited to participate in a photo session at the Palace of Monaco with Prince Rainier III, the ruling sovereign of the principality. After a series of delays and complications, Kelly met the prince in Monaco. Upon returning to America, Kelly began work on The Swan, in which she coincidentally portrayed a princess. Meanwhile, she was privately beginning a correspondence with Rainier. 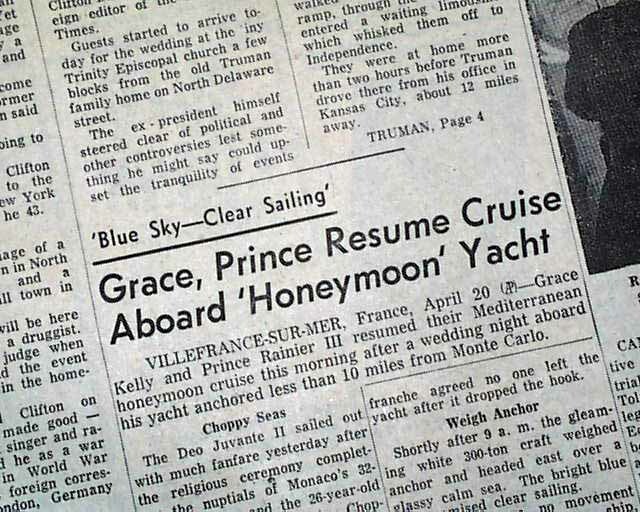 In December, Rainier came to America on a trip officially designated as a tour, although it was speculated that Rainier was actively seeking a wife. A 1918 treaty with France stated that if Rainier did not produce an heir, Monaco would revert to France. At a press conference in the United States, Rainier was asked if he was pursuing a wife, to which he answered "No." A second question was posed, asking, "If you were pursuing a wife, what kind would you like?" Rainier smiled and answered, "I don't know — the best." 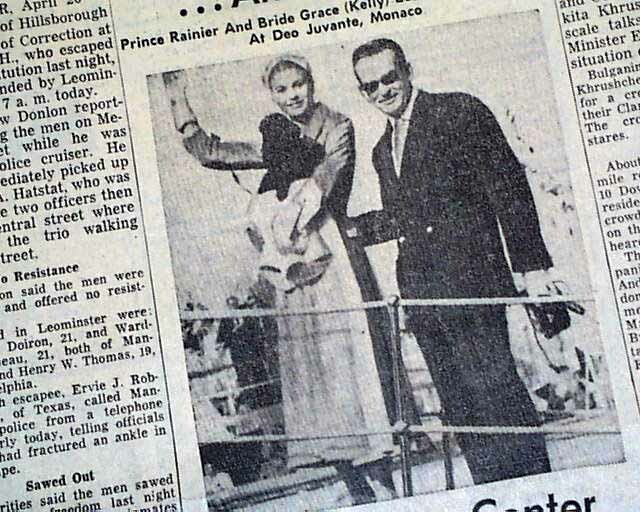 Rainier met with Kelly and her family, and after three days, the prince proposed. 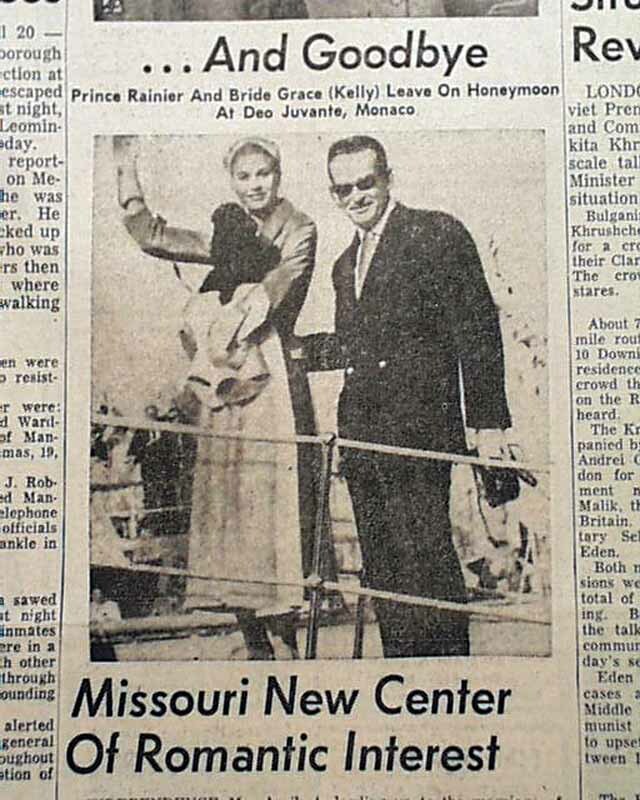 Kelly accepted and the families began preparing for what the press called "The Wedding of the Century." 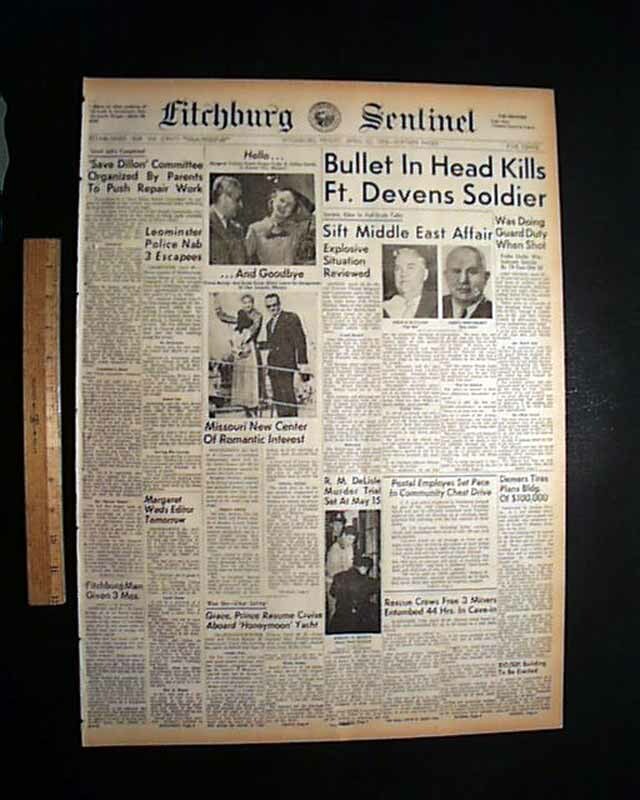 The religious wedding was set for April 19, 1956. News of the engagement was a sensation even though it meant the possible end to Kelly's film career. Industry professionals realized that it would have been impractical for her to continue acting and wished her well. Alfred Hitchcock had quipped that he was, "very happy that Grace has found herself such a good part." Preparations for the wedding were elaborate. The Palace of Monaco was painted and redecorated throughout. 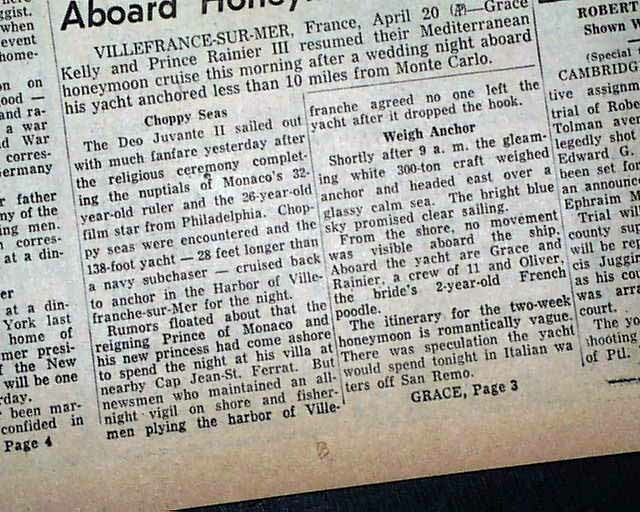 On April 4, 1956, leaving from Pier 84 in New York Harbor, Kelly, with her family, bridesmaids, poodle, and over eighty pieces of luggage boarded the ocean liner SS Constitution for the French Riviera. Some 400 reporters applied to sail, though most were turned away. Thousands of fans sent the party off for the eight day voyage. In Monaco, more than 20,000 people lined the streets to greet the future princess consort. That same year, MGM released Kelly's final film, the musical comedy High Society, (based on the studio's 1940 comedy Philadelphia Story). One highlight of the film was when Kelly sang a duet with Bing Crosby, "True Love," with words and music by Cole Porter.